As one of JBA’s first employees, Elyse Kaye spearheaded JBA’s foray into the child and family services arena. 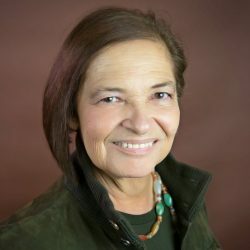 She has more than 30 years of experience directing program evaluation, applied research, and technical assistance projects for federal and state government agencies. She has overseen studies on foster care, adoption, child abuse and neglect, family preservation and support, and service integration and collaboration. For the past 20 years, Kaye directed JBA’s Evaluation Technical Assistance for Title IV-E Waiver Demonstrations project. She also served as corporate monitor for the Cross-Site Evaluation of the Family Connection Discretionary Grants and the Cross-Site Evaluation of the Infant Adoption Awareness Training Program. Kaye directed JBA’s 6-year study on the Implementation of Family Preservation/Family Support Programs (renamed the Promoting Safe and Stable Families Program). In this capacity, she conducted case studies in 10 states and 20 counties to assess planning and collaboration efforts, program implementation issues, and system- and individual-level outcomes. She also directed the National Survey of Current and Former Foster Parents.